Welcome back to my series on emotional intelligence. My two previous articles were closely related because drama and storytelling involve playing the roles of characters. The same is true with this entry about role modeling. Role modeling, like drama and storytelling, reaches deep into the emotions of learners. Real-life situations and relationships get real-world practice in role modeling. As adults, we play various roles, right? Sometimes we are bankers; sometimes we are coaches. We might even have to be referees! Whatever the role, we can plan to model specific behaviors intentionally and invite others to share their roles with kids. These experiences offer kids real-life opportunities to walk in someone else’s shoes just a bit, and it inspires them. Role modeling makes learning interactive with live models. Showing kids how they can play a certain role in a classroom or at home can increase their awareness of their own strengths and talents. Kids often begin to demonstrate their abilities in certain domains early. Some kids paint like an artist, while others can sing well. Some kids demonstrate athletic ability early in life while others gravitate toward literature. If you can identify the kids’ strengths, you can then encourage them to express themselves in real-life situations inside the classroom. If you have a strong art student, model for that student how to create a sketch book of ideas and an art portfolio. Invite a local artist to visit your classroom and conduct an art session for the whole class. Do the same for all of your students who show obvious ability in ANY area. Some students don’t know about their strengths yet, so this is especially important for them. All students will benefit from observing these role models, but for the students who may not think they have any skills or talents, this kind of role modeling could change the course of their entire lives…it’s THAT important! 1. For two weeks, watch your students carefully and note any budding skills or talents. 2. Share these notes with parents and other care givers so that they can encourage the child. 3. Invite district or community to discuss their careers or demonstrate a talent or skill to your students. 4. Find ways to create real-life classroom events that highlight various students’ abilities and strengths. 5. Plan for showcase events in various subjects where students show aptitude. As you help kids invest in their learning through role models, you are also helping them make powerful connections between that learning and their emotions. Emotional intelligence has a quotient you can’t necessarily measure, but if you want to help kids improve their E.I., add role modeling to your bag of tricks. It works! Last time, I threw drama into the mix to help kids connect emotionally to their own learning. As we think deeper about how important this connection is, researchers report that storytelling offers a unique opportunity for kids to grow their emotional intelligence quotient. Like drama, storytelling involves kids in several aspects of learning that help them connect parts of their real lives to stories—stories with many different kinds of characters from various cultures and locations. Each character has a point of view in a story, and it is exciting when kids learn how to analyze a story character and add a bit of their own personality to the interpretation. 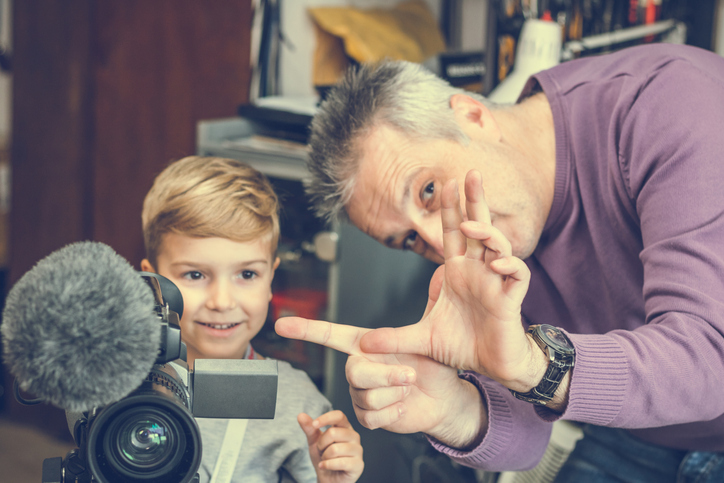 When you teach children how to tell a story with appropriate characterization and a point of view, they naturally evolve in areas like self-awareness, cultural awareness, and insights into universal life experiences. What an important way to help students explore their own cultural roots, traditions, and values! Just grappling with these ideas can help kids find their place in the world. To get kids started with storytelling, provide several options for them. They can read through several books, magazines, or plays to find one they want to develop into a storytelling performance piece. Click on the link at the end of this post to get some great ideas. Help the storyteller understand how to vary vocal pitch, tempo, and volume to make characters come alive in a story. Emphasize moments of silence and dramatic pauses to get a character’s point of view across. Demonstrate for the storyteller how to use different exaggerated voices for the characters. Have the storyteller create a strong “narrator’s” voice that will remain consistent throughout the story. Demonstrate how common gestures and body language, stance, and movement help differentiate one character from another in stories. Show how certain types of body movements create emotional responses in the audience. Show storytellers how to use “stage” space effectively, using an entire area. Give storytellers many opportunities to practice pantomiming specific activities related to a character. Storytelling Resources: A popular children’s author, Aaron Shepard, publishes an excellent site for storytelling ideas. Check it out here.